Please note that all Spooky Tours for 2013 have now sold out. For exclusive bookings of 25 people or more, charged at £20 per person, please contact Susanna Plummer at susanna.plummer@burghley.co.uk to reserve your tour. Additional catering by the Orangery can be available for bigger parties. Join us this autumn for our new look Spooky Tours. 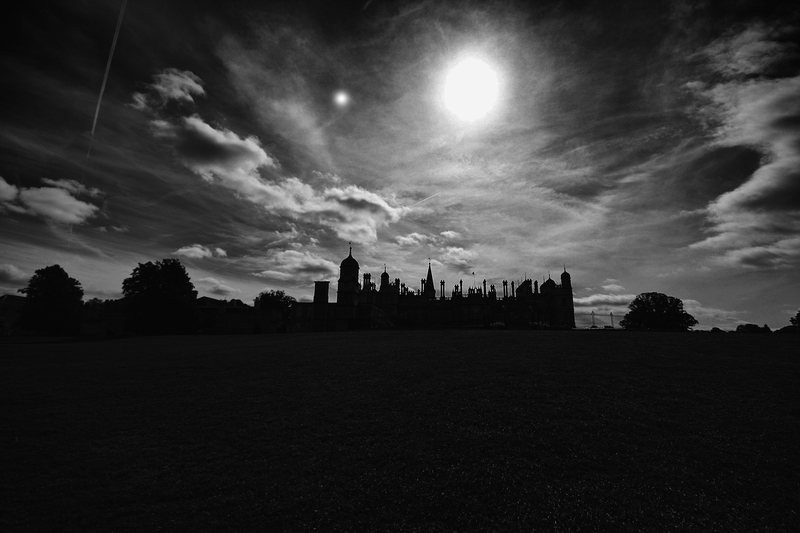 Available from 21st October to 2nd November (excluding Sundays) at 6.30pm, 7.30pm, 8.30pm and 9.30pm the tours will take you around some of the less visited areas of Burghley, including the cloisters, cellars and dairy which will all reveal their spooky histories to you with the help of local ghostly expert Martin Tempest. All Spooky Tours now sold out! The 6.30pm tour is our family tour and will be suitable for children aged 7 and up, but the later the tour the spookier the subjects so please bear this in mind when booking your ticket! Torches are not needed, but if you wish to bring a small handheld torch you may. Please do not bring headtorches or lanterns which may impact on others enjoyment. Spooky fancy dress is encouraged by is not a requirement! Please bear in mind that not all of the areas are even under foot and these tours will be taking place in the dark so sensible footwear should be worn. The tours will have a minimum of 10 and a maximum of 30 in each group. Only one tour will take place at any time. If your timed tour has not sold the minimum numbers in advance of the day you will be contacted and asked if you wish to switch to an alternative day. How scary will the tours really be? The tours will be taking place in the dark with a costumed guide and his assistants. They are not for the faint hearted, but the 6.30pm tour will be aimed at a family audience with more humour and spooky stories. than horror! Is there a child’s or concession ticket available? Due to the nature of the tours and the size of the groups there is only one ticket price of £10 for each person attending regardless of age. If the tour is outside, can I bring my dog? I am afraid that the tour will be partly inside an partly outside and we are unable to accommodate dogs on the tours. I am a Friend, how do I book? Friends of Burghley can book their place on their chosen tour at the discounted price of £6 per ticket. Please note that this discount is for the Friend only, and does not apply to any additional guests. You will need to provide your Friends card on the day to validate your ticket. If you are unable to do so you will be asked to pay the full admission price. Discount is not available for Gardens season card holders.